One more year Bateig has decided to support the internationalization of a high quality product as the Bateig natural stone is with any of it finishes. 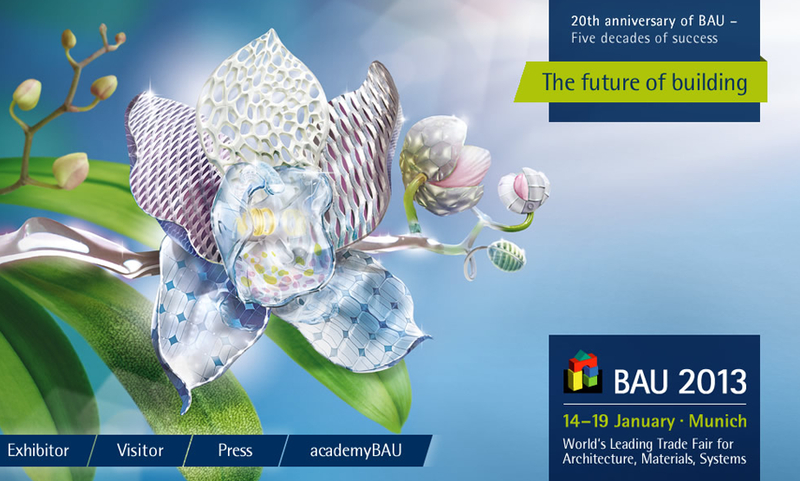 Bateig will go to the BAU 2013, Fair of Architecture, building materials and Systems of Germany that will have place in Munich, from January 13 to 19. This time we will try to consolidate the image of the brand in the German market, in which we are mainly known due to the works made with our materials in facades with natural stone finish, and due to the provision of thousands of floor metres in shopping malls such as Peek & Cloppenburg and Bräuninger. This year we will expose in the stand located at the A4 Hall, Stand 221 (24m2), design panels with different finishes, different architectural elements, and as a novelty, we have included in the set a ladder made of Bateig natural stone, with the clear aim of showing the multiple possibilities of such a versatile material like natural stone is. BAU 2013 will have more than 1.900 exhibitors from around 43 different nationalities. There, the latest developments in materials and architectural systems will be presented. In addition, the professional nature of the public attending this event turns it into a great opportunity to make contacts and to show our products to builders and architects with ongoing projects, who attend Munich looking for new materials.